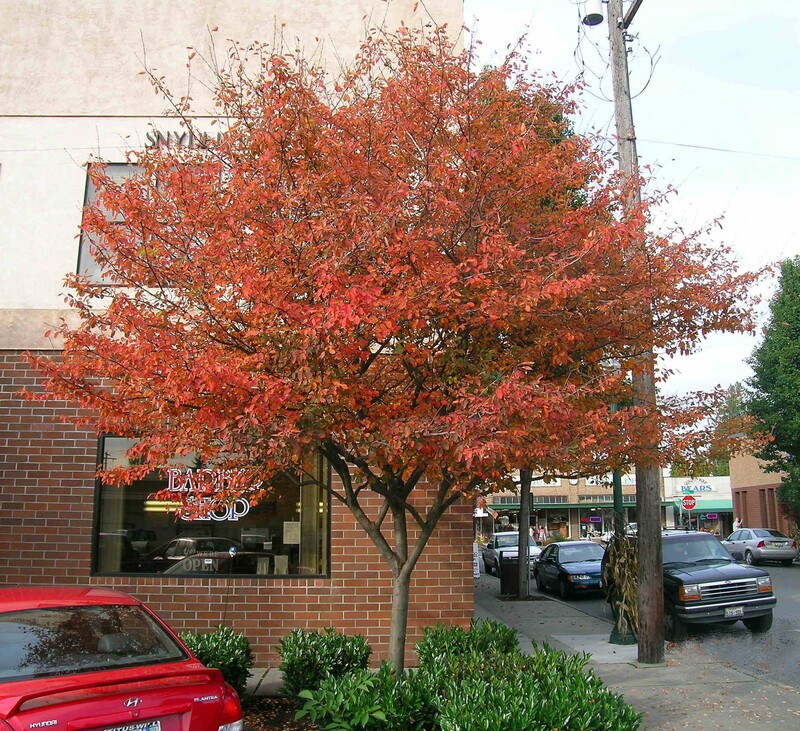 Tree Profile for the Autumn Brilliance Serviceberry - Urban Forest Nursery, Inc.
Another excellent small tree selection is the ‘Autumn Brilliance’ Serviceberry. It is very useful and beautiful as both a single leader tree, as well as a large multi-stem shrub. The name Autumn Brilliance correctly describes the outstanding red fall leaf color, but equally spectacular is the burst of white spring flowers, followed by a small very dark colored edible berry. The bark is smooth and light gray. Serviceberry might reach 20' to 25' both tall and wide at maturity. In both youth and maturity they can become twiggy, with many crossing and rubbing limbs. However, they respond well to corrective pruning and can develop into outstanding specimens of form and character. From our experience, they transplant rather easily, but do prefer a sandy loam, well-drained soil for optimum growth. If fact we have seen them sprout in the spring, wilt back from desiccation, then rebound strong with adequate watering. They are a bit susceptible in certain areas to some of the fungal diseases, such as Rust, Leaf Blight, Fire Blight, and Powdery Mildew, so they perform best in production with some fungicidal treatment. However, out in the open as a street tree, or in the yard or garden where there is good air circulation, I have seen few problems. 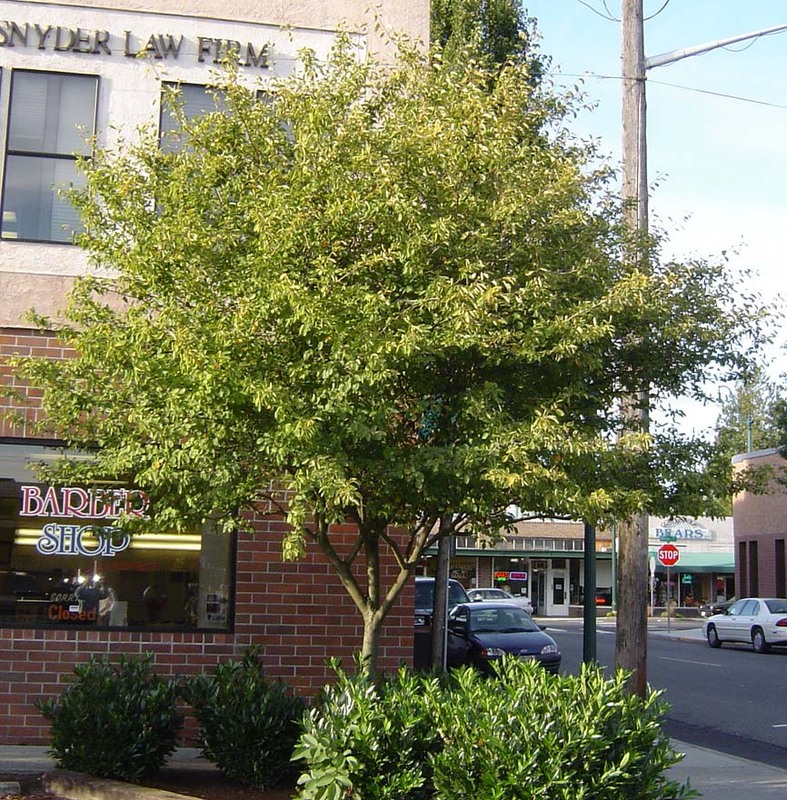 The one in this photo was planted in a small parking island in downtown Sumner, Washington about 5 years ago, and has performed like an arboretum specimen. There are several other cultivars of the Amelanchier such as ‘Cole’s Select’, ‘Cumulus’, ‘Robin Hill’, and even a ‘White’ or ‘Rainbow Pillar’ with a tight multi-stem columnar form. The Autumn Brilliance is the most popular. I always appreciate any comments you have on this or other varieties you work with.